I’m not sure why it happens, but I’ve noticed over the years that a lot of people overlook things that they already have on hand. Whether you’re looking for herbs to use in healing or in magical and spiritual practice, don’t forget to look in your spice cabinet. You may already have a lot of things that you want, or you can get them right at your local grocery. Now, when it comes to healing, some people do remember how much good stuff already is or can be in their spice cabinet. Almost every spice and seasoning has some health benefit. There are some really good books and sites out there that can tell you just how much medicinal wonder you have in those jars. Things like garlic, ginger and red pepper are particularly great to have, but there’s a whole lot of tasty and healthy stuff sitting in your cabinet. When it comes to people needing herbs for spiritual or magical practices, those are the ones that really tend to overlook the spice rack. There’s this weird idea that got started somewhere and kept being perpetuated, especially in the Pagan community, that ritual herbs had to be bought specially and stored apart from all else. You can do that if you really want, but truthfully, there’s no need for it. Just as most of the herbs in your cabinet have medicinal properties, they also have magical properties. 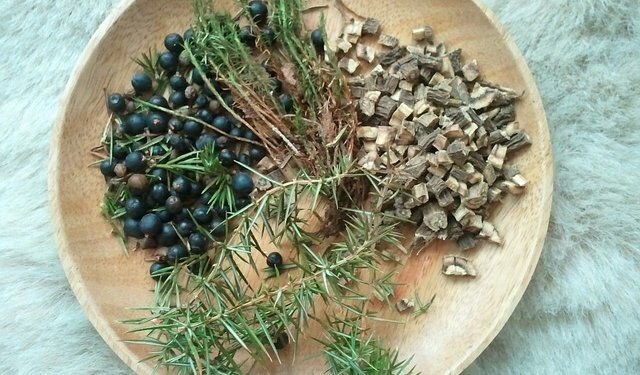 There is absolutely nothing wrong with using herbs from the kitchen in your spiritual or magical practices. If you believe in herb magic or herb offerings, that’s great, and you should use what you’ve got. The higher power(s) don’t care where the herbs come from. Sure, fresh ones are great, but there’s no need to go buy sage for $5 an ounce at a metaphysical shop when you can get a 4 ounce bottle for a dollar at the local grocery. If anything, the god(s) probably respect thrift and lack of waste more than having you go out and spend foolish amounts of money on things. Personally, I use my cabinet herbs in rituals all the time. I have no problem sprinkling some red pepper out of a bottle onto a candle or plucking a few sage leaves off the bundle hanging on the wall. I do have a separate part of the cabinet for herbs that are medicinal only or magical only, but it’s just a nearby portion of the same cabinet. All my herbs “live” in the kitchen. You’ve probably caught on through my recent series of articles, but there is a point I’m trying to get across along with all this other spiritual information. You don’t need to spend a lot on your spirituality. Some things, sure, you want to spend a little more cash on, but most of what you need can be gotten cheap or free, and there’s nothing wrong with that. Unless you’re worshiping a deity of excess, the powers that be aren’t concerned with the monetary value of things. Remember, ages ago the gods cared for the poor as well as the wealthy, they didn’t discriminate against those who couldn’t afford lavish things. Neither should you. You’re not more spiritual or a better practitioner if you spend too much on things, nor is a person who gets their items cheaply any worse or less. By the way, if you want a really good book on magical herbs, try The Herbal Magic Correspondences Guide.